Big data concerns and growing protectionism mean many Chinese deals will stumble. The Chinese Ministry of Finance successfully completed its second offshore renminbi bond auction, but poor investor demand for the offering raises questions about the future of the CNH bond market. The Hong Kong stock market is finally shaking off its image as a home for unloved Chinese IPOs. The opening up of the Chinese financial sector to majority foreign ownership is an important and strategic move, but the guidelines curtailing banking sector liberalization make it look like one step forward, two steps back. With NPLs under control, focus must be on sustainable growth. Internationalization is starting to pay dividends in performance. Forget the impression that China’s banks are out-dated and too traditional – they are rapidly embracing the importance of technology and often partnering with the country’s disruptors to modernize their products, services and business performance. Here are the leaders in Chinese fintech. Country results for China (A & B shares), China (H-shares, Red chips & P-chips), Hong Kong (local). The capital markets highlight of November in Asia was the Hong Kong IPO of Tencent spinoff China Literature, which raised HK$8.3 billion ($1.1 billion), was 600 times oversubscribed and shot up 70% on its first day of trading. It’s all change in the world’s most powerful central banks: the Federal Reserve has a new chair coming; the Bank of Japan will need a new one from April; and, no less significant, China could announce the next head of the People’s Bank of China (PBoC) any day. As Xi Jinping heralded the dawn of a new era of Chinese politics and power at the Communist party congress in Beijing in October, a forgotten but important anniversary was about to be passed. In the 10 years since ICBC’s $5.5 billion acquisition of a 20% stake in South Africa’s Standard Bank Group, there has still been no bigger single China-Africa investment. Looking back now, the deal was remarkable for the speed and relative ease with which it came together. But has it worked? Debt-for-equity swaps are all the rage among China’s state-owned enterprises, but it may be that households, rather than banks or insurance companies, are going to be the ones footing the bill. China is leveraging its middle class to clean up its banks – an approach rife with moral hazard. Its mixed ownership reform cannot be applied to other SOEs. New recruits show bank sees tangible business from Belt and Road; some will be new hires, others existing staff being moved. After years of discussion and an agonizing wait for regulatory approval, HSBC’s securities joint venture in China – the first to have majority foreign control – is approaching launch. Senior figures explain the process and what the JV will look like. 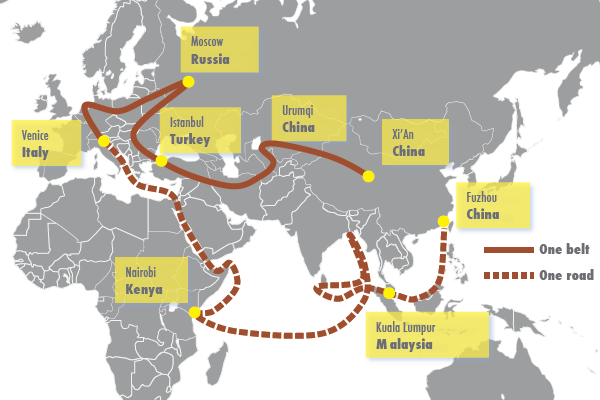 The Belt and Road Initiative is a vastly ambitious project to upgrade transport infrastructure across south east Asia, south Asia, the Middle East and Central and Eastern Europe to facilitate the flow of Chinese trade. Chinese fintechs have been redrawing the map of financial services for a while now, and Tencent has just added the latest amendment. As Singapore reinforces its position as the leading FX trading centre in the Asia Pacific region, Euromoney looks at the prospects for other regional hubs. Everyone has a complaint about how Hong Kong’s markets are run, whether it is cornerstones, regulation, secret orders, or simply poor performance. How does HKEx get the environment right when everyone has a different idea of what is wrong? A-shares included at low weight; handful of large-caps with tiny weighting. Why did CIMB sell half its international brokerage business to China Galaxy? It is a coincidence of interests: survival on one side, expansion on the other. HSBC’s Sino-foreign joint venture has been approved at last, almost two years after the project was announced. It is the first such venture to have foreign control but what exactly has HSBC won? Elliott Management’s court case against Sir David Li’s Bank of East Asia pits the aggressive new world of activist investment against one of Hong Kong’s most venerable institutions. The stakes are high, and the rhetoric tough. The bank for Hongkongers has long been overshadowed by big brother HSBC, but even rivals consider it the best investment the global giant ever made. What legacy does soon-to-retire chief executive Rose Lee leave? In a rare meeting with foreign media, two banks in Changchun, Bank of Jilin and Jilin JiuTai Rural Commercial Bank talk about shadow banking, toeing the Beijing party line and why a stockmarket listing in Hong Kong can be a poisoned chalice. China’s successful adoption of green bonds comes at a time when a climate-change sceptic leads the US but emerging economies are growing more conscious of environmental problems. Regulators are a guiding force for China’s green-bond market, coaxing the country toward global cooperation. The country’s wealth management industry has grown fast – and just as quickly built up a bad reputation. But firms such as Noah and CreditEase are showing the way forward as China’s rich look to new ways of managing their assets. Country risk: Where next for China investment risk? The Moody’s downgrade of China in May has given investors plenty to think about. The country’s long-term issues need to be addressed urgently. There will be a time when Chinese A-shares play a huge role in global emerging market (EM) portfolios, but Wednesday’s news does not mark that moment. The B&R forum held in Beijing brought a little clarity to a so far rather nebulous concept. China’s landmark Belt and Road Forum – not, we are told, to be abbreviated as Barf – has been hailed as a success for the country’s sprawling infrastructure agenda. One of the world’s most ambitious and laborious deals approaches its conclusion and will not be repeated in a hurry. Bond Connect programme confirmed; long-term potential means little today. In China, as is the case all around the world, the productivity of debt is falling precipitously. For every dollar, euro or yuan of new debt created, less GDP is extracted. All sorts of things can go wrong when you start pledging cows as collateral. "The Asian culture, particularly the Chinese, is very humble around charitable giving and wealth, but now there are more high-profile names talking about philanthropy, and that is encouraging individuals to follow suit." The Chinese brokerage’s fixed-price IPO in Hong Kong is being hailed as a step forward for a mainland-distorted market. But is it? April 2017 President focused on quality not quantity of lending; China prepared to give up effective veto to new members. Enforcement on the mainland remains a huge issue for the Hong Kong SFC, but its CEO claims things are changing. The US always looked a tough nut to crack for CLSA and it’s only getting tougher, so it’s not a shock to see the Hong Kong brokerage heading for the exit. It seems perverse to criticize a high-yield boom just eight weeks after it got started, but questions are arising over the fervour for new deals. Although China has restricted capital flight, it is still encouraging Hong Kong IPOs. That is good for international banks – mostly. The long-awaited tie-up between HSBC and Shenzhen Qianhai Financial Holdings still seems to be nowhere in sight. 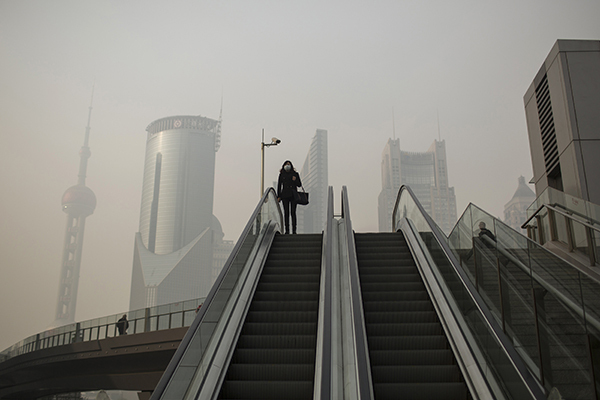 Beijing's pollution a problem for staff moves. 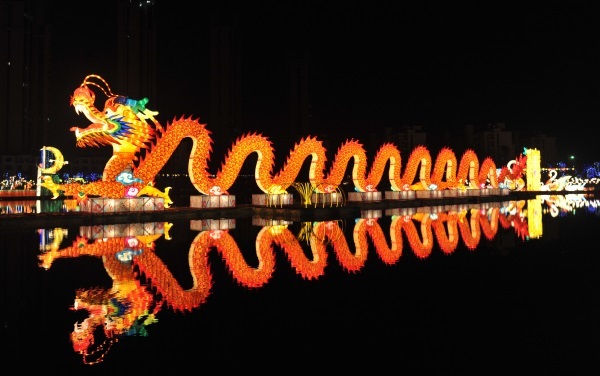 It is no secret that China is the biggest game in town in Asia-Pacific investment banking. But it is striking, even alarming, to learn just how utterly dominant it has become. SFC scrutinizes stock exchange sponsors; US pursues princeling hires. New debt-equity swap measures tackle corporate debt load; bank NPLs are already rising. Sector is opaque, distorting and unstable; banks ‘lending where they shouldn’t be’. The dominance of cornerstone tranches in Chinese IPOs represents a raw deal for other investors – and needs to stop. Decoding the Chinese property market has always been a challenging science, but even the savviest analysts may not have appreciated one unlikely driver: divorce rates. China’s leading lenders are opening private banking offices across the world to cater to their wealthiest clients. But all global wealth managers face the same challenges: rising regulations; the need to maximize internal resources by targeting the right markets and clients; and the rise of technology. New deals show innovation; mounting concern about defaults. As the China International Payment System (CIPS) approaches its first anniversary, there is much anticipation around how the second phase of the project will impact RMB settlement volumes. Euromoney’s sister company Dealogic released a set of data on Monday confirming what many international bankers in Asia have feared for some time: that they are becoming less relevant and are losing their lunch to local, chiefly Chinese, rivals. Posts 9.02% loss for 2015-16; sovereign fund reshapes portfolio. As the Shanghai Gold Exchange introduces a new benchmark, the country now leads in gold production, consumption and imports. Wednesday’s decision by MSCI to delay membership for Chinese A-shares in the MSCI Emerging Markets Index serves a number of purposes. Chinese M&A ambition is good news for banks chasing advisory fees but soaring debt levels give cause for concern. Bank chairmen confident they can tackle NPL problem; Chinese economy undergoing necessary restructuring. China’s commitment to common standards for development banks is welcome news. Citi JV opts for Hong Kong for IPO, but should it have gone six months ago? China has a future rich with potential: a liberalized currency, an open capital account, state lenders and technology giants offering innovative banking services to a vibrant private sector. But Beijing’s leaders face a growing problem: a two-speed China. Now is not the time for them to drag their feet over reform. Corporate debt at record high; NPLs at state lenders also on rise. Polemicists arguing either side of this coin toss abound, from water coolers to Republican primaries. Where once markets drew direction from the pronouncements of Alan Greenspan, they now rise and fall on Chinese numbers. Ironically, no one actually believes the official numbers that China puts out. Talk of a crisis is overblown, but the world’s most populous nation is still struggling to convince the experts, as its risk score declines. China has reportedly drafted a Tobin tax on foreign currency transactions – just the latest in a series of measures that appears to backpedal on financial reform. However, bulls say it’s a classic move by Beijing to limp towards reform without subjecting domestic markets to volatility. QFII reforms will open up access to domestic stocks; China will have big weighting in EM index. Every now and then a barometer deal comes around: one whose outcome shows the market what to expect. One such was Goodbaby China Holdings, set to be a deal that showed there was still scope to launch IPOs, even mainland Chinese IPOs, in Hong Kong, despite volatility. The January fall in emerging market currencies, the exodus of foreign capital and a global bear market in equities all point to a new financial crisis. 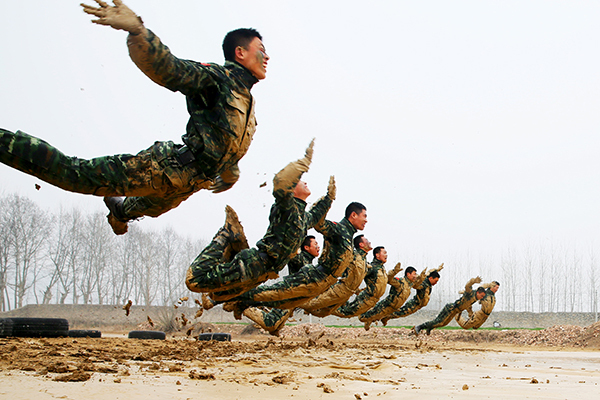 How China reacts to this threat holds the key for emerging markets. Big names move to buyout firms; private equity ‘has money to burn’. Market and currency turmoil weigh on growth; financial and stock market reforms needed. It is going to be a bumpy ride for Asia and other commodity-producing economies this year. Gap between onshore and offshore exposed; Hong Kong dim sum market in doubt. With the energy of frustrated followers of Nostradamus finally finding vindication, market-watchers pounced on China’s opening-bell volatility as confirmation that the end, finally, was nigh. Distrust of official data coincides with hedge-fund closures, including Nevsky Capital. Arrests, disappearances and suicides rock industry; investor unease at hard-nosed Beijing. Gao urges SOE defaults; financial reform should precede capital liberalization. Dollar dominance continues; RMB inclusion in IMF reserve basket symbolic. New Asia lender caps lending at $100 billion; dollars, not RMB, will fund projects. China is pushing ahead with capital account reforms but it needs to make sure its own house is in order first. Having done well from their exposure to the RMB during the past decade, the currency’s surprise devaluation in mid-August should force Chinese companies to brush up on hedging strategies that were rusty at best, but many are instead simply focusing on opportunistic borrowing strategies. China's quarter-point rate cut last Friday is the latest attempt to revive a flagging economy. But although currency liberalization is on the agenda in the longer term, the People's Bank of China is unlikely to be ready to cede control of the renminbi’s de facto dollar peg just yet as depreciation pressures grow. Beijing plan to privatise slew of SOEs: Analysts fear concentration of power. The hubs in the New Silk Road. The nation’s private banking industry is blossoming, but even as it flourishes, leading players have to move fast to keep up with a changing market and an increasingly demanding and diverse client base. Euromoney gathered together a panel of private bankers, wealth managers and economists to discuss the market’s key issues in July. Asia’s growing band of big, local investment banks won’t let short-term market fluctuations affect their planned transitions from national to regional leadership. Look beyond the gyrations of its stock markets, and you can see one thing clearly in China: equivocation. The regime of Xi Jinping is fundamentally flawed because of its public espousal of the markets, but private refusal to cede any real control. Optimists hope the latest crisis could be the impetus for real reform. Most experts warn investors hoping for a recovery in their stock purchases not to hold their breath. Market propped up by $200 billion in July and August; brokerage probes undermine drive to reform. China’s struggle to communicate effectively with markets was demonstrated by its scapegoating of journalists for supposedly worsening the crash in local stock prices. Lenders were offered a valuable real-life stress test in late August, when investor concerns about the Chinese authorities’ bungled response to slowing growth in China following the devaluation of the yuan led to plunging Chinese and world equity prices, slumping commodity valuations and spikes in volatility across currency and securities markets. Everyone knew a revaluation of renminbi was coming sooner or later, yet China's announcement, including reform of the dollar fixing mechanism, caught many off guard. The move left observers debating whether it was stimulating its economy or acquiescing to calls for exchange-rate liberalization. Foreign investors pull Rmb40.5 billion in two weeks; average P/E ratio still 66 times. The government has allowed what should have been a simple market correction to get the better of it. In 15 years, Jiang Jianqing has taken ICBC from technical bankruptcy to the world’s most profitable bank. Stark contrast with reaction to Sino-Forest default in 2011; case highlights key man and regulatory risks in China. The culture among Chinese companies of preparing and executing their own acquisitions isn’t good news for investment banks keen to charge for services. Will it ever change? It may be a battered economy on the edge of Europe, but Portugal is rapidly becoming the hotspot for Chinese corporate ownership in Europe, particularly in the financial sector. Whether they like it or not, governments and regulators in Lisbon, Brussels and elsewhere will welcome them with open arms. The slowdown of the Chinese real-estate market is an increasing risk for the country’s banks, but government intervention might dampen the threat. Recent data suggest that the momentum of the renminbi is slowing, particularly outside Asia. Beijing has ambitious plans for market; international funds will find it ‘hard to ignore’. China’s growth concerns, exaggerated by a flaky real-estate market and an iron-ore industry now in a tailspin, have seen its risk score weaken since 2014. 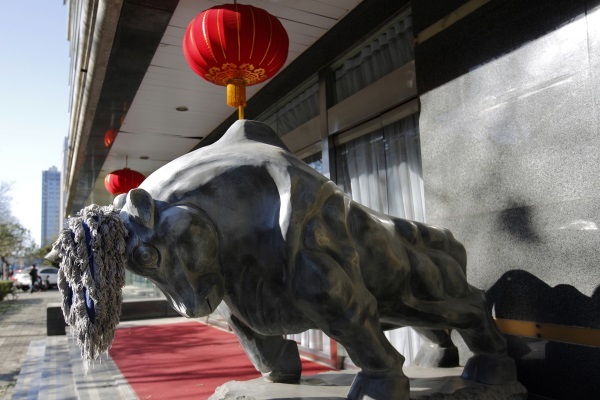 The pool of approved stock lenders for the Shanghai-Hong Kong Stock Connect short selling scheme must be widened for the initiative to succeed, according to market experts. Critics may cry foul at the moral hazard but Beijing has bought itself time with its debt swap for local governments. 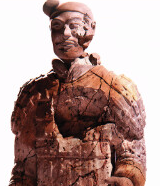 Few thought that the marriage of a Chinese securities firm with an Asian brokerage which had a unique, and at times disruptive, culture could work. But two years on, Citic and CLSA have proved they can be at least the sum of their parts. Can the combination now become a true regional powerhouse as its leaders hope? Gaming capital stocks fall 41%; gambling revenues down 30%. Capital controls have constrained the use of the renminbi in global trade, while China’s real economy has surged ahead. Despite the strict rules around its use, market players are punting on strong RMB growth in 2015, Euromoney’s Trade Finance survey reveals. The Hong Kong-Shanghai Stock Connect, which was launched amid much fanfare on November 17, has triggered a jump in CNH-funded arbitrage opportunities. However, rising Stock Connect volumes and easing by the People’s Bank of China – triggering a convergence between onshore and offshore rates – will remove current funding advantages. The eagerly awaited Stock Connect system connecting Hong Kong to the mainland is up and running to relief all round. While traditional long-only funds and southbound flows have lagged, market players foresee a new dawn in Chinese equity trading. Backed by its robust trading relationship with China, the east Asian nation is the latest fledgling offshore renminbi hub. Market participants shed light on South Korea’s renminbi bid as internationalization of the Chinese currency gathers pace. Alibaba lists on NYSE; deal might free up pipeline. Disaggregating China’s investor risk into its constituent parts points to less safety in its sovereign bonds than its credit ratings suggest. Hong Kong is a different proposition with experts choosing to ignore its political problems. China banking: Cinda – on the ball or to the wall? Asset management company Cinda is a stark example of the implausible nature of China’s financial system. It has transformed its business model from an NPL warehouse to what some call a giant shadow bank. With more AMCs in the pipeline, analysts are beginning to question if China understands the risks it is piling up. The debut issue of a five-year $1 billion sukuk this week is a statement of intent from Hong Kong that it is serious about Islamic finance, sending a strong signal to rival financial centres. Bets of a re-peg of the Hong Kong dollar have resurfaced in the currency markets as the Hong Kong Monetary Authority (HKMA) intervened to inject dollar liquidity to the tune of $9.86 billion several times since July 1 on the back of large inflows into Hong Kong during the past few months. China’s banking risks have tripled in one year amid a decline in market capitalization for the sector and a rise in debt issuance, as fears over the shadow-banking system grow, according to the latest projections from a systemic risk index, Euromoney can reveal. Authorities more strident on standards; wealth fund criticized for lack of due diligence. How rising US short-term rates would complicate China’s credit challenge amid fears that a second, bank-led wave of outflows from emerging markets could be on the horizon. The sharp jump in cross-border lending to China in recent years means capital controls are de facto broken. As a result, Beijing faces the “impossible trinity” – an inability to manage exchange rates, monetary policy and allow for free movement of capital, all at the same time. 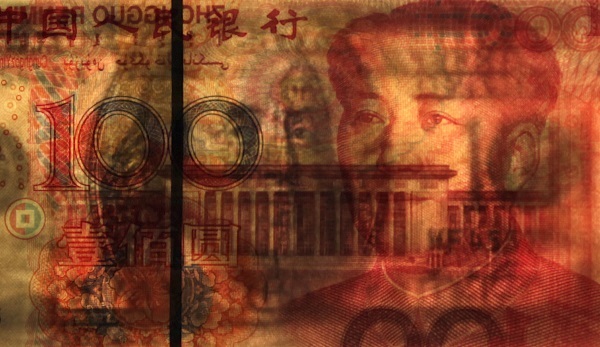 China faces an renminbi-policy crisis just as much as a potential credit crisis. Euromoney asked the CIOs and strategists of the leading private banks: are you adding or taking away China risk in your portfolios. Most have followed their clients’ businesses abroad. Now it’s time for them to learn the lesson of Alibaba’s listing in New York and become true international finance players. Deal priced at bottom of range; Alibaba finally chooses New York over HK. Two banking upstarts are resetting the relationships the Chinese have with their boring old state lenders by being convenient and readily understood. Even better, they pay great rates. But the incumbents aren’t taking this new threat lying down. Experts lacking faith in the sovereign keep nudging its score downwards, suggesting the rating agencies are too confident in their risk assessment. The longstanding one-way bet on USDCNY has been in disarray, but worse might be to come, as China looks to its FX regime to cope with credit issues, and likely defaults this year, threatening volatility in the structured-product market. Chinese bank’s London purchase likely to be followed by other acquisitions in foreign markets. Wealth preservation a growing focus; succession issues come to the fore. ‘Plenty of work for wealth advisers’ in Asia, says HSBC in a report this week, citing how the region ex-Japan’s wealth will eclipse the US by the end of 2015. While China’s economic slowdown has had repercussions on global emerging markets, frontier markets – specifically China’s trade partners in Africa – have been relatively insulated from the storm, sheltered in part by their limited financial systems. And, perhaps surprisingly, analysts are sanguine about the outlook for commodity-intensive trade. New funds to track both A50 and CSI300 indices; Ucits compliance opens funds to European buyers. Mainland China leads exchange nationality ranking; Hong Kong IPOs start year to warm sentiment. Is it all China’s fault? The Fed's? Febrile sentiment from the likes of Larry Fink? Argentina? Turkey? Or all of the above? Not all emerging markets are in free fall, investors are discriminating between surplus and deficit countries, it’s not all China’s fault, and domestic EM policies matter. Concrete advances towards the full tradability of the Chinese currency are at last seemingly being made, helping to rebalance the country’s growth model but heaping on short-term risks to China’s economic and financial stability. The country faces many problems in banking, real estate, consumption and demographics that cannot be quickly solved. Asia Pacific’s moribund M&A market needs promised reforms in China to be effected as soon as possible. China drives capital markets; convertible bond issues stage a return. With extended opportunities for UK investors in China through programmes such as the RQFII scheme, China Construction Bank opened its doors this week to London-based investors, signalling the strength of the Sino-UK relationship. Strong industry growth over past decade; adverse effect of dearth of IPOs. But expected wave of bank consolidation not forthcoming; hampered in Argentina by high regulatory and political risk. Recent large-scale Chinese acquisitions and consortium agreements in the LatAm financial and energy sectors indicate the People’s Republic’s continuing interest in the region’s resources. China: Has FTA snub driven Shanghai’s FTZ? Rush to open free trade zone; aim to facilitate China’s entry into TPP. At its Third Plenum, the Communist Party communicated its commitment to economic change. The country’s first free trade zone, in Shanghai, will act as the test bed, but without clarity on any number of policies, will international firms rush to set up shop? The absence of senior officials at the opening of China’s first FTZ doesn’t mean it’s not a priority. China’s ambitious liberalization experiment in Shanghai, announced at the third plenum, could reshape national policy – but there are four key challenges that could thwart the project. For all the focus on the Federal Reserve’s plans to start tapering its asset purchases, currency investors should also be looking at developments in China. The free-trade zone in Shanghai has been depicted as one of the biggest steps towards Chinese economic liberalization, but some analysts argue the risk of arbitrage and a lack of transparency will be difficult to overcome – while there is no consensus on whether policymakers are committed to full-scale capital-market liberalization. The UK Treasury’s courtship of Chinese banks highlights, in part, London’s relatively flexible regulatory regime for foreign banks – in contrast to the Fed. It also opens up a broader debate about subsidiarization and global banking models, more generally, amid regulatory turf wars. Swap agreement reflects growing trade; London has competitive advantage. AS Watson under strategic review; IPO would be Asia’s biggest in three years. Xiang Songzuo, chief economist of state-owned ABC, says China’s next raft of reforms – from retooling state-owned enterprises to tackling local government debt burdens and environmental challenges – will involve a disruptive shift in the political system. The US government has upped the ante in its criticism of China’s foreign exchange regime, but Lombard Street Research reckons the renminbi is, in fact, overvalued by 30% on a trade-weighted basis, citing, in part, rising unit labour costs and disinflationary pressures. Only China, now the safest of the five Brics, has a higher score compared with the beginning of this year. High hopes for sweeping reform; Li says country is at crucial juncture. The new free-trade zone in Shanghai is much more likely to invigorate Hong Kong as a financial sector than threaten it. On September 3, Beijing announced a 3% tax on coal imports with low calorific value. Some market analysts are concerned that the tax might have a negative impact on Indonesian exports of thermal coal as the levy could remove any price advantages. Between January and July this year, Indonesia accounted for 97% of China’s lignite imports. As China’s appetite for commodities appears to be fading, demand for Indonesian coal could also fall, putting the export economy under stress. Mining company Adaro explains why the future is still bright. London should be wary of the Duchy’s ambitions to become Europe’s RMB hub. The emerging market sell-off since May is just the start of a painful multi-year adjustment process – and China has blazed a trail for the next downturn. Capital abundance, deflationary pressures and imbalanced global demand continue to drive the 15-year cycle of credit booms and busts. State-owned companies have, until now, set the tone in China. But as economic growth slows and state-driven capital market activity founders, banks are hunting for business from China’s privately owned, ambitious enterprises. The Chinese economy is growing ever more slowly – probably slipping even faster than officially admitted, and from a base whose size is possibly exaggerated too. In the midst of this, the orthodox banking sector is doing unorthodox things on a grand scale, while being undermined and bypassed by an even more unorthodox grey financial sector. Risk-control measures in place; further step in economic liberalization. Banks everywhere hire well-connected employees as standard practice. Why should Hong Kong so grate with US regulators? The preferred method for playing Chinese credit markets remains the dim sum bond market, say analysts, as China’s expansion of access to its onshore market is met with a cool reception by foreign investors. The new head of the International Finance Corporation, Jin-Yong Cai, tells Euromoney about the need for the World Bank’s private-sector arm to take more risks and be more activist in developing policy ideas in such areas as infrastructure development and poverty reduction. Despite the strides China is making in the development of its $2.7 trillion government bond market, it remains structurally inefficient, thanks to meagre trading volume in an asset class strangled by the country’s fixed interest rate regime. Calls are growing for greater efforts to develop the government and corporate bond market structure in a bid to boost the efficiency of savings and non-bank financing. Activity and prices remain buoyant in China’s gold markets despite the slip in prices in the west. Bankers focus on positives; say authorities will strike right balance. Funding squeeze reaches peak; PBoC to safeguard stability. China and Japan’s contrasting trends create a more even split of safer and riskier sovereigns across Asia as 12 countries see lower scores, 10 push higher and six are unchanged. Euromoney’s debate involving leading executives in Asian financial services throws light on the Chinese currency’s progress to full international status and the likely developments that will hinder and advance the process. Investors looking to insure against the probability of a hard landing in China should look to the currency market. The rapid, seemingly uncontrolled, expansion of China’s shadow banking sector is under intense scrutiny because of the risks it poses to the banking system, and the economy itself, but also because the sector is largely unregulated. Urgent steps are needed to beef up regulatory vigilance as China seeks to engineer a contraction of credit to levered sectors. The appreciation of China’s renminbi in the face of deteriorating economic fundamentals and global disinflation represents a new normal in China’s political economy, but opinion is split about whether the currency is overvalued. China’s banking sector has emerged as the principal source of sovereign risk, reversing a decade-long trend, say analysts. 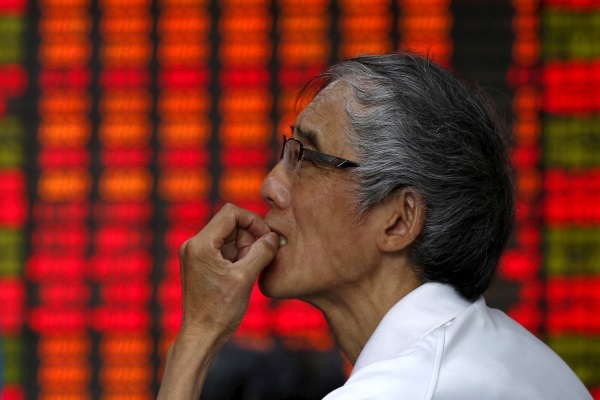 China liquidity crisis: a welcome stress test? Whether there is a serious liquidity shortage in the Chinese banking sector or just poor liquidity management is missing the broader point: recent outflows provide a necessary stress test for the People's Bank of China (PBoC) to assess the appetite for capital account liberalization, say analysts. Fears are starting to escalate that China’s heated financial sector is about to reach boiling point. The mini liquidity crunch is the early warning sign of a substantial economic correction long overdue, amid rising leverage and a broken growth model, say bearish analysts. China’s FX carry trade: the next shoe to drop? For FX investors witnessing the volatility in high-yielding currencies, it might seem a strange time to warn about the potential bursting of a carry trade bubble, but one has managed to slip under the radar. 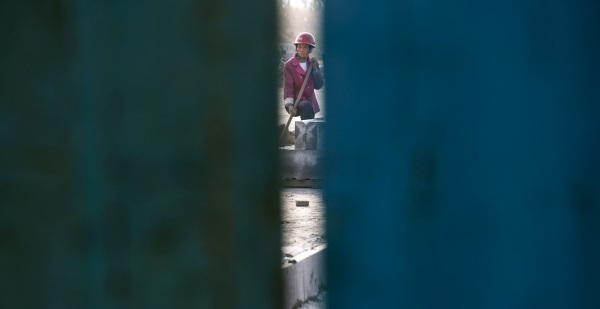 Fears are growing that China’s elevated debt levels, diminishing returns from its bank-financed investment-led growth strategy and slowing GDP prospects mean a credit crisis is in the making. As the internationalization of the renminbi takes off this year, chances are that New York will be left behind, says Andy Seaman, fund manager and partner at Stratton Street Capital, a London-based investment fund manager. China’s long journey to a fully convertible currency may be nearing an end, according to BCA research, as the timing for liberalization couldn’t be any better. Measures introduced by China’s State Administration of Foreign Exchange (SAFE) this week to stem speculative inflows of capital into the country could be a first step towards further liberalization of Beijing’s currency policy. China has announced further plans to liberalize the renminbi, a move that could relieve the pressure of excessive FX reserve growth that has been triggered by the easing of the eurozone financial crisis. Slower-than-expected growth and enduring bank-stability issues continue to weigh on China’s risk outlook, according to ECR analysts. As China transitions to a market-based consumption-led economy, financial reform seems inevitable and yet China’s big four government-backed lenders continue to dominate the landscape. More competition is needed to boost innovation in the formal banking system and lending to small and medium-sized enterprises. Redback’s rocky rise: will China bite the monetary bullet? Pent-up global demand, Chinese economic dominion and monetary reform have fed optimism that the renminbi is on the path to becoming a global trade and investment currency. However, although currency internationalization will boost China’s growth model in the medium-to-long term, the short-term political and economic costs are huge. Nominal GDP targeting – a new method in the Chinese monetary policy madness? HSBC's chief economist Stephen King and Yu Yongding, a former academic adviser to the People's Bank of China, debate the allure of nominal GDP targeting as a possible anchor for monetary policy in China. Pilot schemes to aid integration; FDI exacerbates challenges. A quarter of IPO applicants might reconsider; market saturated. Former monetary policy official Yu Yongding calls on the Chinese government to turbo-charge its economic reform agenda, including financial market liberalization, in order to nurture a consumption-led economy. 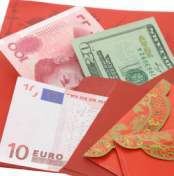 The renminbi will become as integral to global trade as letters of credit or the container ship. Companies need to think carefully on how to blend daily RMB usage into their existing supply chains as Beijing begins to remove bureaucratic FX hurdles. The economy continues to defy the doom-mongers, but to nurture a sustainable and domestic-led growth model China’s new leadership must embark on painful, destabilizing and controversial reforms. Société Générale reveals the disfigured face of the global economy in the event of a China growth shock, given the country’s unsustainable investment rate – its all-too familiar Achilles heel. The People’s Bank of China moved this week to lift a $1 billion cap on a sovereign-level onshore investment window. But will central banks and sovereign wealth funds take the bait? In a recent report published by HSBC, Qu Hongbin argues that with China's leadership change will come a flurry of economic reforms, with interest rate liberalization expected in the next three years. 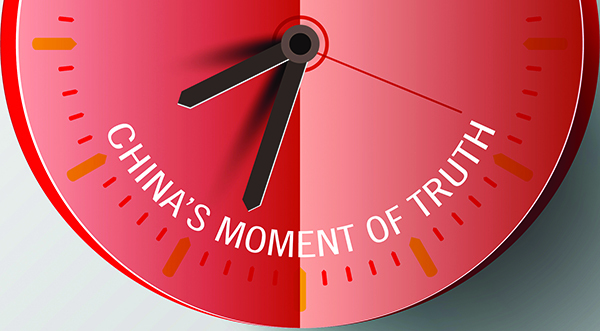 The incoming Chinese leadership should use the subtle insights of behavioural finance – and the blunt message of bond issuance – to rebalance their economy toward domestic consumption.